Typically, a health care provider is held liable for damages if the care provided was not “in accordance with the standards of practice among members of the same health care profession with similar training and experience situated in the same or similar communities under the same or similar circumstances at the time of the alleged act giving rise to the cause of action” pursuant to G.S. 90-21.12. This makes sense when a health care provider is gaining from providing the care by receiving compensation. But we don’t want to discourage health care providers from volunteering their services. (4) Repealed by Session Laws 2011-355, s. 7, effective June 27, 2011. (5) Any volunteer medical or health care provider licensed or certified in this State who provides services within the scope of the provider's license or certification at a free clinic facility, who receives no compensation for medical services or other related services rendered at the facility, center, agency, or clinic, or who neither charges nor receives a fee for medical services rendered to the patient referred by a local health department, nonprofit community health center, or nonprofit community health referral service at the provider's place of employment shall not be liable for damages for injuries or death alleged to have occurred by reason of an act or omission in the rendering of the services unless it is established that the injuries or death were caused by gross negligence, wanton conduct, or intentional wrongdoing on the part of the person rendering the services. The free clinic, local health department facility, nonprofit community health center, nonprofit community health referral service, or agency shall use due care in the selection of volunteer medical or health care providers, and this subsection shall not excuse the free clinic, health department facility, community health center, or agency for the failure of the volunteer medical or health care provider to use ordinary care in the provision of medical services to its patients. (b) Nothing in this section shall be deemed or construed to relieve any person from liability for damages for injury or death caused by an act or omission on the part of such person while rendering health care services in the normal and ordinary course of his or her business or profession. Services provided by a medical or health care provider who receives no compensation for his or her services and who voluntarily renders such services at the provider's place of employment, facilities of free clinics, local health departments as defined in G.S. 130A-2, nonprofit community health centers, or as a volunteer medical director of an emergency medical services (EMS) agency, are deemed not to be in the normal and ordinary course of the volunteer medical or health care provider's business or profession. (c) As used in this section, a "free clinic" is a nonprofit, 501(c)(3) tax-exempt organization organized for the purpose of providing health care services without charge or for a minimum fee to cover administrative costs. Under North Carolina law, a volunteer medical or health care provider shall not be liable for damages for injuries or death alleged to have occurred by reason of an act or omission in the medical or health care provider's voluntary provision of health care services unless it is established that the injuries or death were caused by gross negligence, wanton conduct, or intentional wrongdoing on the part of the volunteer medical or health care provider." (d) A nonprofit community health referral service that refers low-income patients to medical or health care providers for free services is not liable for the acts or omissions of the medical or health care providers in rendering service to that patient if the nonprofit community health referral service maintains liability insurance covering the acts and omissions of the nonprofit health referral service and any liability pursuant to subsection (a) of this section. (e) As used in this section, a "nonprofit community health referral service" is a nonprofit, 501(c)(3) tax-exempt organization organized to provide for no charge the referral of low-income, uninsured patients to volunteer health care providers who provide health care services without charge to patients. This statutory provision limiting liability for volunteer health care professionals used to be part of G.S. 90-21.14, which currently limits liability for volunteer emergency medical care provider. The Court of Appeals has not looked separately at the current version of G.S. 90-21.16, but looked at G.S. 90-21.14 for the first time in Green v. Kearney in 2011. In that case, Green was in a car accident and suffered a serious head injury. The first emergency provider checked Green’s vitals and determined that Green was dead. Upon the arrival of more emergency providers, the first provider asked them to verify that Green did not have a pulse. They did not. The medical examiner arrived and dismissed the observed movement of Green’s abdomen and chest as air leaving the body. The medical examiner later dismissed the observed twitch of Green’s eye as a muscle spasm. Green was brought to the morgue and put in a refrigeration cabinet in a zipped bag. It was not until almost 2 ½ hours after the accident occurred, when an officer wanted to reexamine Green’s body, that Green was removed from the refrigeration cabinet and zipped bag. At that time, the officer noticed movement in Green’s abdomen and emergency services were called. Green suffered permanent injuries. Volunteer health care providers are held to a looser standard than typical health care providers under North Carolina law. If you have been injured by a health care provider, it is important to have a lawyer who understands all the issues. 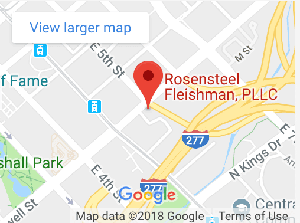 Contact a lawyer at Rosensteel Fleishman, PLLC (704) 714-1450.